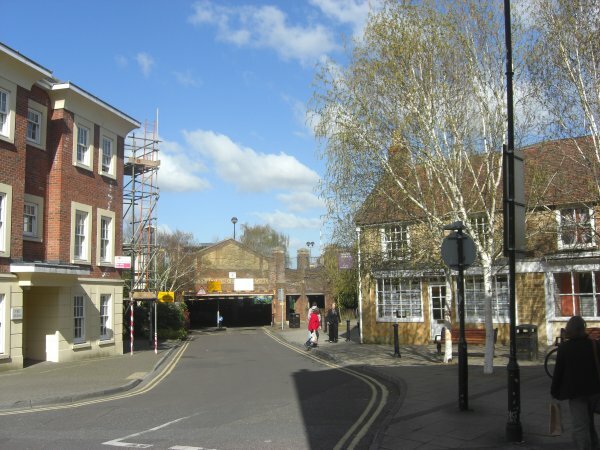 Waterloo Lane is the short lane between the Oxford Inn in Hendford at its southern end and the junction of Westminster Street and Huish at its northern end. Although it had existed, probably for centuries, it is not named on Watt's map of 1806 and must have been named Waterloo Lane after the famous Anglo-Allied victory at the Battle of Waterloo in 1815. Its earlier name is not known. There were fourteen families, a total of 74 people, living in this short lane as well as the gloving factory, later used by the Thring Brothers, which still survives as Waterloo House. The dwellings in Waterloo Lane were mostly demolished in the 1960's. 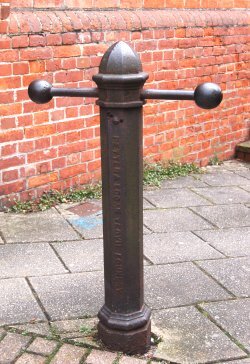 The photograph above is of a cast iron bollard in Waterloo Lane and is the only surviving example from the Petter & Edgar Iron & Brass Foundry which was situated close by on the corner of Huish and Clarence Street - the site is now Tesco's car park. 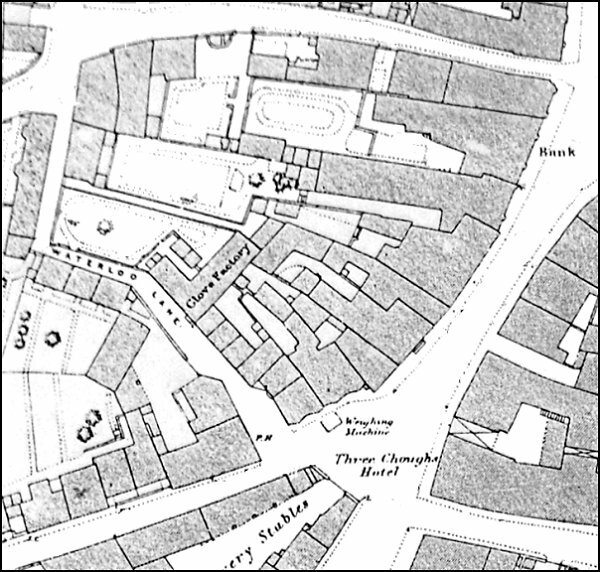 1886 Ordnance Survey of Waterloo Lane, joining Hendford with Huish. 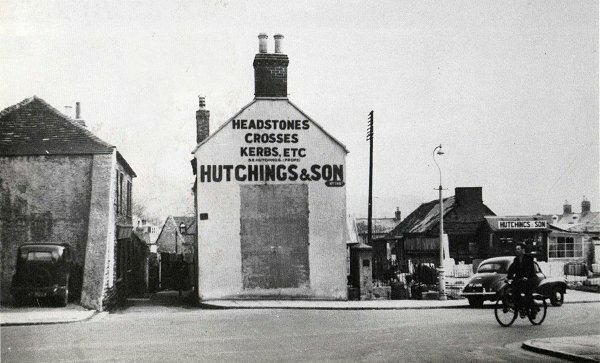 Waterloo Lane, between the building at left with the corner buttress (which survives) and the Hutchings & Son building (which doesn't) seen from Westminster Street / Huish in 1956. The building at left in the previous photograph, at this time a ladies' hairdressers. This photo probably dates to the late 1970s or early 1980s. 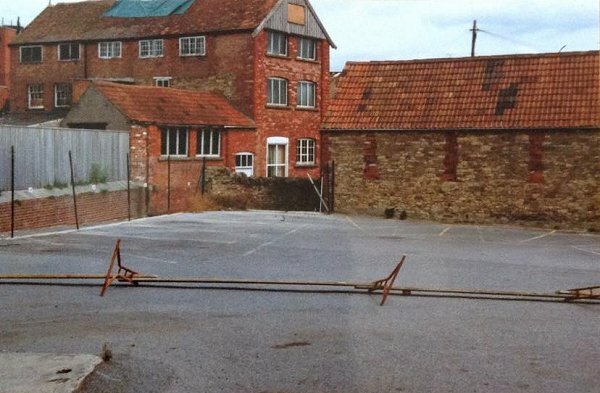 A photo from the late 1970s or early 1980s showing, from left, Waterloo Lane, Thring Brothers' glove factory (today's Waterloo House) and the stables of the Oxford Inn. 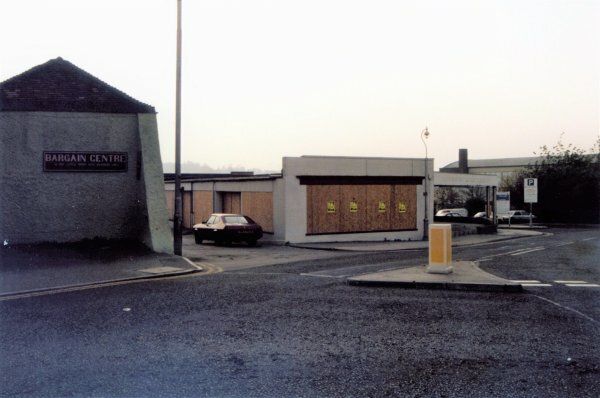 The car park in the foreground would later become Tesco's car park. 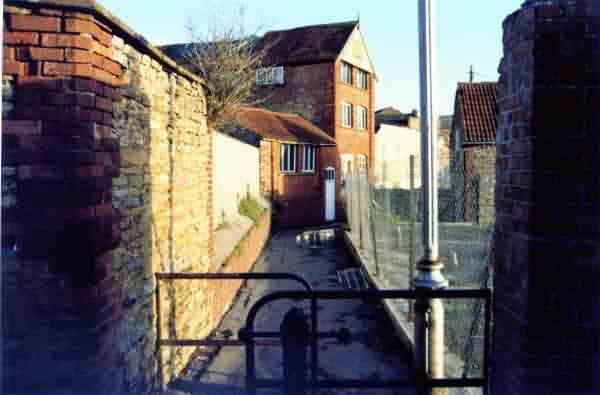 Waterloo Lane seen from the corner of Huish / Clarence Street / Westminster Street in 1988. Waterloo Lane, at centre, seen from Hendford. 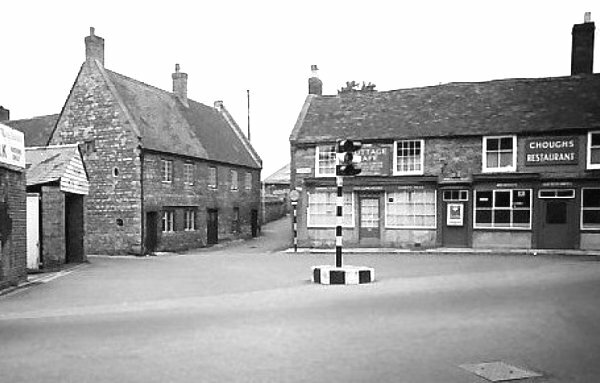 At extreme left is the Three Choughs Hotel's guest's garage, then the narrow entrance to West Hendford. 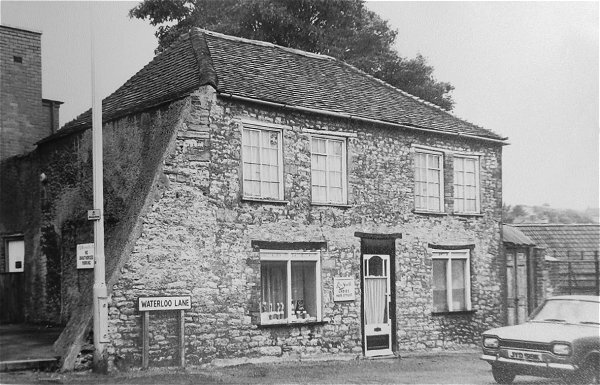 The building at left is the former Oxford Inn and at right is Mr Banfield's Cottage Café and the Chough's Restaurant (previously the Chough's Tap) above what would become Modelkits, owned by Mr Banfield's son, Bob, later Verger at St John's church. Photograph taken about 1960. Waterloo Lane photographed in 1988. The same scene photographed in 2013. 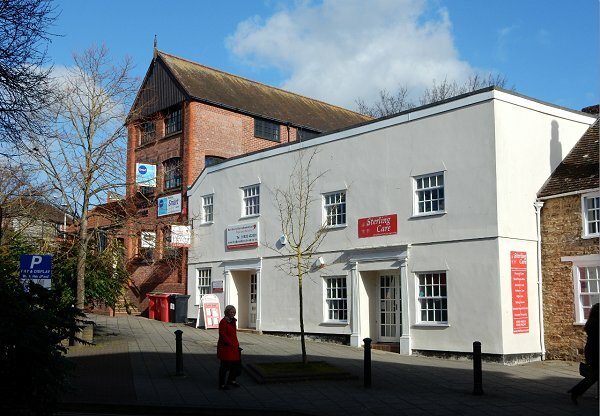 Buildings in Waterloo Lane, including the old red brick Thring Brothers' glove factory left of centre, now Waterloo House, photographed in 2015.